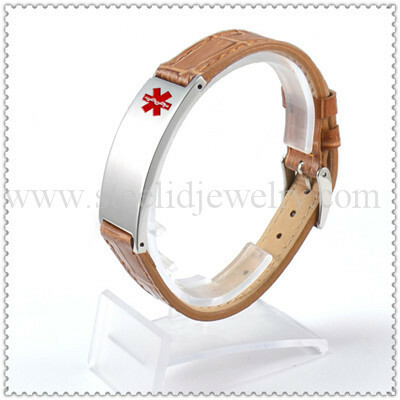 16mm width leather band with 19.5mm*44mm steel id plaques, 7.5″~8.5″ length, size can be customized. 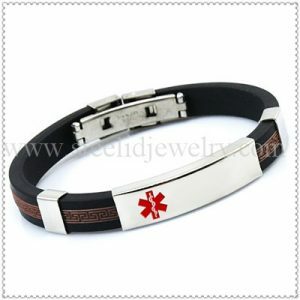 An adjustable watch style dark brown brown leather medical ID bracelet. 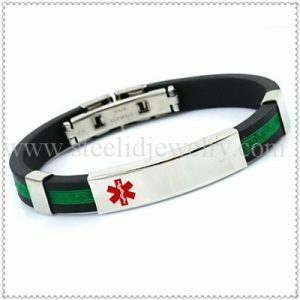 The strap has a matte look with contrast stitching. 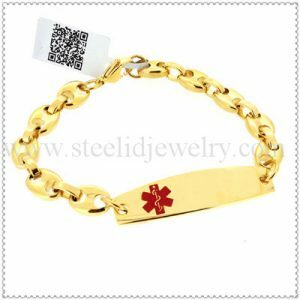 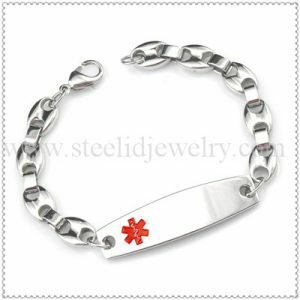 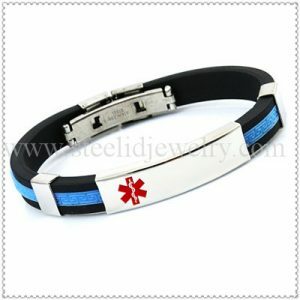 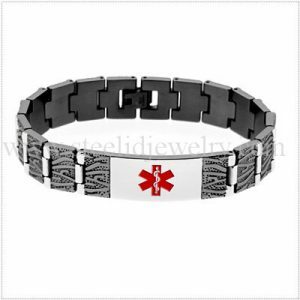 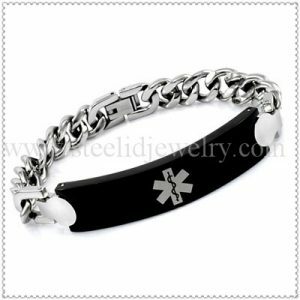 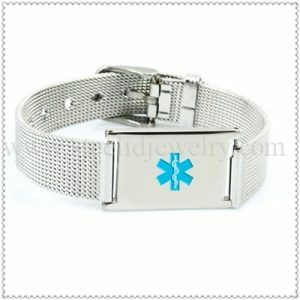 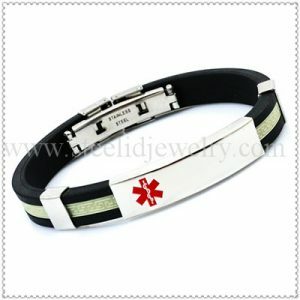 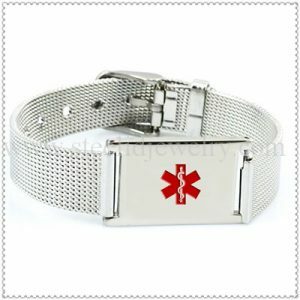 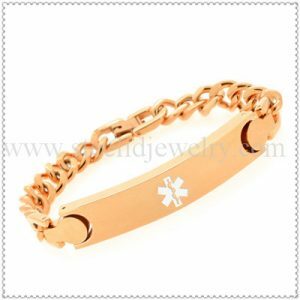 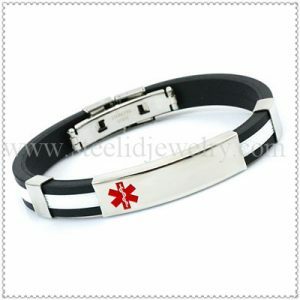 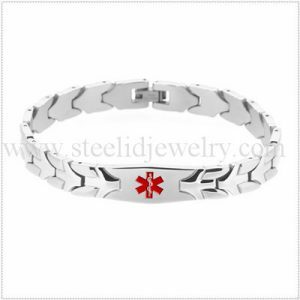 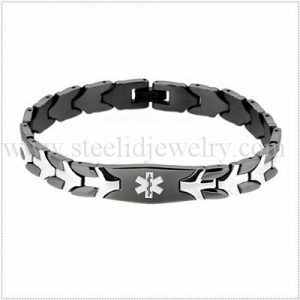 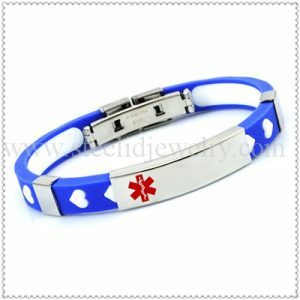 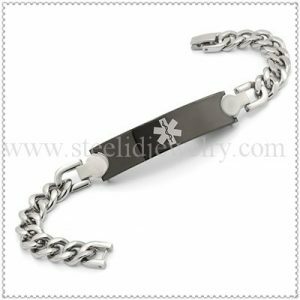 The bracelet is Leather strap with Shiny finish medical ID tag .